Two candidates are vying for a spot on Valley Electric Association’s board of director seat in Amargosa Valley. Incumbent Dave Hall, running for his second term on Valley’s board of directors to keep hold of his District 2 seat, is being challenged by Gerald Nalepa, who has been in Nevada for over 10 years. Voting for directors in District 2 began on Wednesday when members were to start receiving their ballots in the mail, according to a spokesman for Valley. The last votes are to be tallied at the District 2 annual district meeting in Amargosa Valley. According to information on Valley’s website, that meeting will occur from 5 p.m. to 8 p.m. on March 19 at the Amargosa Community Center at 821 E. Amargosa Farm Road. Valley Electric Association/Special to the Pahrump Valley Times Kathleen Keyes, candidate for Valley Electric Association’s District 4 (Fish Lake Valley) seat is running unopposed. Incumbent John Maurer is not seeking re-election. A seat is also open on Valley’s District 4 (Fish Lake Valley). Only one candidate is running (unopposed) for the District 4 seat for Valley’s board of directors: Kathleen Keyes. Incumbent John Maurer is not seeking re-election to Valley’s board. The annual district meeting for Valley’s District 4 is from 5 p.m. to 8 p.m. on March 21 at the Fish Lake Valley Community Center. Valley’s annual meeting is set for April 27 at Pahrump Valley High School. According to Valley’s website, the meeting is set to run from 11 a.m. to 5 p.m.
Valley Electric Association/Special to the Pahrump Valley Times Dave Hall, District 2 (Amargosa Valley) board of directors for Valley Electric Association, is looking to keep his seat as he has one opponent for the 2019 race. Hall currently serves as secretary on Valley’s board of directors. Hall is seeking a second term on Valley’s board of directors. He currently serves as the board’s secretary. Hall has been a resident of Amargosa Valley for 25 years and is currently serving as chairman for the Nye County Water District Governing Board. He is also a board member for Amargosa Seniors Inc.
Hall worked 27 years for the General Electric lighting division, where he served in a number of management roles as well as in human resources and engineering, according to the release. Valley Electric Association/Special to the Pahrump Valley Times Gerald Nalepa is a candidate for Valley Electric Association’s District 2 board of director’s seat. Voting began on Wednesday and will come to completion at District 2’s annual district meeting on March 19. Nalepa is a retired Marine Corps Reserve colonel, according to a summary of Nalepa’s background and qualifications released by Valley. Nalepa spent 16 years in active duty and 14 years in the reserve. Nalepa holds a bachelor’s degree from the University of Massachusetts, Amherst in history and a master of business administration from the University of Chicago, according to the release. Nalepa also holds a master’s in public administration from Harvard University. Nalepa was an infantry officer and held numerous command and staff roles while serving in the Marine Corps. During his time in the reserves, he worked in the “corporate world as a marketing manager and government affairs representative,” according to the release from Valley. “I am fully retired and have time to fully serve on the board. I do travel often, and have family obligations (my mother is 90, living in Utah), but if elected, I will do my best to not let these interfere with my board duties,” the release stated. Special to the Pahrump Valley Times Acting Nevada State Engineer Tim Wilson took over the office after former state engineer Jason King resigned early this year. The Nevada State Engineer’s Office has filed its opening brief in its appeal over water Order #1293A, which was overturned by a district court judge late last year. In its brief, the engineer’s office, now under the leadership of Acting State Engineer Tim Wilson, argues that the findings of the district court judge were made in error and pleads with the Nevada Supreme Court to reverse the district court’s ruling. Wilson took over for former state engineer Jason King in January. Water Order #1293 was issued in Dec. 2017 and was followed six months later by amended Order #1293A. The order restricts the drilling of new domestic wells in Pahrump unless two acre-feet of water rights have been relinquished in support of the well. 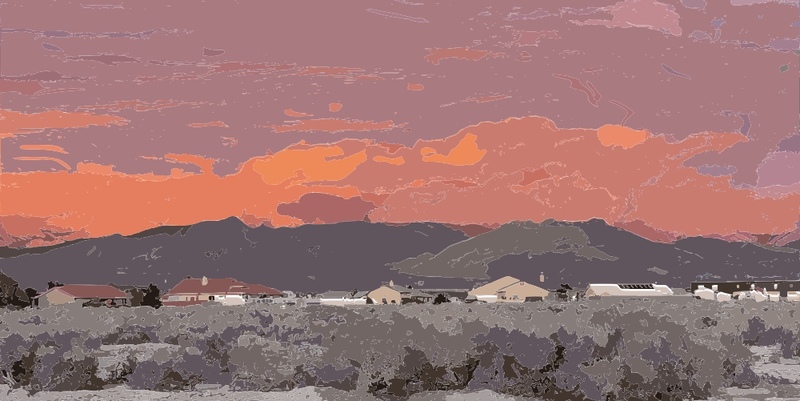 A group of local real estate agents, property owners and well drilling companies quickly formed Pahrump Fair Water LLC to fight the order, filing a lawsuit in which the group prevailed in December 2018. Now the battle has moved to the Nevada Supreme Court and while the appeal moves through the legal process, the supreme court has issued a stay on the district court’s ruling. This means that Order #1293A is currently in effect and will remain in effect until the court makes its ultimate decision on the appeal. “This appeal arises from the district court’s Dec. 6, 2018 order granting Pahrump Fair Water’s petition for judicial review, whereby the district court found that the state engineer exceeded his statutory authority in issuing amended Order #1293A, the state engineer should have provided notice to property owners prior to issuing amended Order #1293A, substantial evidence does not support amended Order #1293A and that Pahrump Fair Water, LLC had the requisite standing to challenge amended Order #1293A,” the state engineer’s opening brief details. Throughout the 66-page document, the engineer’s office attempts to refute each of these findings of the district court, stating that it believes the engineer had full authority to issue the water order under existing Nevada law. Citing a declining water table and an over-appropriated basin with the potential for nearly 100,000 acre feet of water use annually, the office claims that without the order in place, significant damage to local water resources could occur. Further, the engineer’s office declared that if the Nevada Supreme Court does not reverse the district court’s ruling, then the engineer’s office will be placed in the precarious position of not knowing what control it can exert over domestic wells. In conclusion, the brief states, “Prior to issuance of amended Order #1293A, domestic wells represented the last unaccounted groundwater use in the Pahrump Basin, and yet water levels continued to drop, threatening thousands of existing wells. Amended Order #1293A is necessary to protect the existing water users in the Pahrump Basin and is a necessary component to the overall long-term management of the groundwater basin. Robin Hebrock/Pahrump Valley Times Pictured are pages from the Nevada State Engineer’s opening brief for its appeal in the case of water Order #1293A. Pahrump Fair Water now has until March 21 to file its answering brief. Documents related to the appeal, including the opening brief, can be found on the Nevada Supreme Court’s website under case number 77722. Nevada Democrats have taken identity politics to a whole new level. They have not just lowered the bar, they have buried it. The mascot looked like a parody of a Mutant Ninja Turtle, moviedom’s parody of super heroes, making it a parody of a parody. Is a parody of a parody a double negative and thus a positive? The character apparently is meant to ridicule Republican Senate Majority Leader Mitch McConnell of Kentucky, not because he moves legislation through the muck and mire of the swamp on the Potomac at the pace of a turtle, but because of his appearance, of all things. It seems some editorial cartoonists think the older white man McConnell’s thick neck and pointy head protruding from the shell of a suit and tie resemble a turtle. Imagine the hue and cry and pitch forks and torches that would be brought out if some Republican ridiculed someone, anyone because of their appearance, skin pigmentation, gender, sexual orientation or gender identity. We presume the costumed character is the 2018 version of the person in the chicken suit who hung around Republican events in 2010 to ridicule Republican senate candidate Sue Lowden for her nostalgic comment about the old days in rural Nevada when doctors did house calls and were paid in chickens instead of government welfare subsidies. Some Democrats, without a hint of shame, discomfort or awkwardness, even posed with the green-bedecked character for photos that were posted online. In this election year there are so many real issues that need to be addressed. All the representative seats are on the ballot. Two will be open seats, as Congressional District 4 Rep. Democrat Ruben Kihuen, under a cloud of sexual harassment allegations, will not be seeking re-election, and Congressional District 3 Democrat Rep. Jacky Rosen has announced she will oppose Republican Sen. Dean Heller, the designated target of the turtle mascot. But first Heller must face Republican Danny Tarkanian in a primary, presumably sans turtle mascot in tow. Former CD4 Reps. Cresent Hardy, a Republican defeated by Kihuen two years ago, and Steven Horsford, a Democrat defeated by Hardy four years ago, have already announced for the seat that covers northern Clark County and the southern half of rural Nevada. There is also a wide open race for governor since Gov. Brian Sandoval is term limited. On the Republican side Attorney General Adam Laxalt is leading Treasurer Dan Schwartz in the polls. On the Democrat side the current front runners appear to be Clark County Commissioners Chris Giunchigliani and Steve Sisolak. The real issues nationally include the current hot buttons of immigration, border security, the budget, deficit and debt reduction, entitlement reform, earmarks, restoration of military might, trade agreements and tariffs, energy independence, health care and health insurance and so much more. At the state level the issues will include taxation, Yucca Mountain, minimum wage, prevailing wages, voter ID, mental health, Medicaid eligibility, aid for veterans, tax abatements and more. We wonder how many people have any clue as to just who Mitch McConnell is or that he took over the mantle of majority leader from Sen. Harry Reid. This ignoble mascot endeavor by Nevada Democrats to ridicule a person’s physical appearance deserves a hearty horse laugh and a heaping ration of mockery, scorn, scoffing, taunts, jeers, lampooning and jibes. Let them begin and continue apace. One-party rule has ruined California. California was once held up as the gold standard of progress and achievement. Previous generations built a great highway system connecting the coast to the Valley and the mountains beyond. Previous generations designed and built the State Water Project. This water infrastructure made cities in the desert flourish. Previous generations built a public education system that was the envy of the world. When the political tide turned almost two decades ago and Democrats began their upward swing to the legislative supermajority they now enjoy, they were handed a California in great shape. The middle class was growing, student test scores were rising, and the welfare rate and crime rate were declining. But with each new election victory the Democrats claimed at the polls came a little less accountability and a little less transparency. California’s Capitol became an echo chamber filled with liberal elites who lost touch with the people and the many vital needs of our state. Transportation funds got diverted away from roads, and water infrastructure was ignored regardless of our state’s growth. Felons were released from prisons, and we are now seeing the effects with a higher crime rate. Our educational system has become more focused on political correctness than student academic achievement. We have 2.5 million children living in poverty while the Democrats have managed to take a balanced state budget and turn it into a deficit, even as they continue to raise taxes on all Californians. And this deficit exists in spite of the fact that we have taken most of the unfunded public pension and health care liability off budget! The last two years have fully exposed the Democratic Party’s failures across California. Mother Nature ended a five-year drought, which California was completely unprepared for, with the rainiest year on record. This inundation of water brought about failed roads, buckled bridges and a crater in the Lake Oroville spillway. In addition to the failures in our transportation and water infrastructure, California state testing showed that not even half of our kids are ready for college. The Democrats’ answer to these problems isn’t to assess and make changes; it’s to pickpocket the people of California for an even larger share of their paycheck. Rather than bringing much-needed reform to the state’s systematic problems, Democrats are just throwing money at the problems guaranteeing us much of the same. We need reform, we need changes, and we need accountability – none of which we are going to get with more of the same. The Democrats broke it; they own it. Now is the time to shake up California’s downward decline, and the best way to do that is to elect a Republican governor in 2018. The Antioch Unified School District Board has shelved a proposal by Superintendent Stephanie Anello, for Mike Burkholder, founder and publisher of the news website Eastcountytoday.net, to create a media platform, highlighting positive stories from the district. The idea, brought forth by Burkholder, an Oakley resident, called for the creation of a district news website and assistance with public outreach, as well as help with creating press releases and photography and implementing of a social-media strategy for $53,900 a year. The board tabled the proposal last week after three of the district’s five board members expressed various concerns, and it became clear that the agreement wasn’t going to be approved. Anello said late last week she was unsure how she would proceed with the matter and didn’t know if another proposal would be brought forth in the future. The concerns of board members Walter Ruehlig, Debra Vinson and Crystal Sawyer-White centered on Burkholder’s conflict of interest as a local website publisher and former school-board candidate, lack of other bids for the work and the use of funds, which board members argued should be used for other purposes. Vinson declined to discuss the matter, because it is still ongoing, but said during the meeting that she had received phone calls expressing unease about the proposal. The three public speakers at the meeting all spoke against the proposal, touching on the perceived conflict of interest, Burkholder’s alleged verbal attack of one of his website’s readers and the desire to see the proposal’s funds go elsewhere. Subsequent comments on social media reiterated public concerns. Anello said that the proposal had nothing to do with Burkholder’s website, Eastcountytoday.net, and that she didn’t seek other bids because the proposal was Burkholder’s own intellectual property, thus proprietary. She thought the proposal financially advantageous for the district, considering public-information officers in other districts usually cost about $125,000 a year when factoring in salary, benefits and a retirement package. Burkholder said he was unsure if the district’s board or members of the public fully understood the proposal. 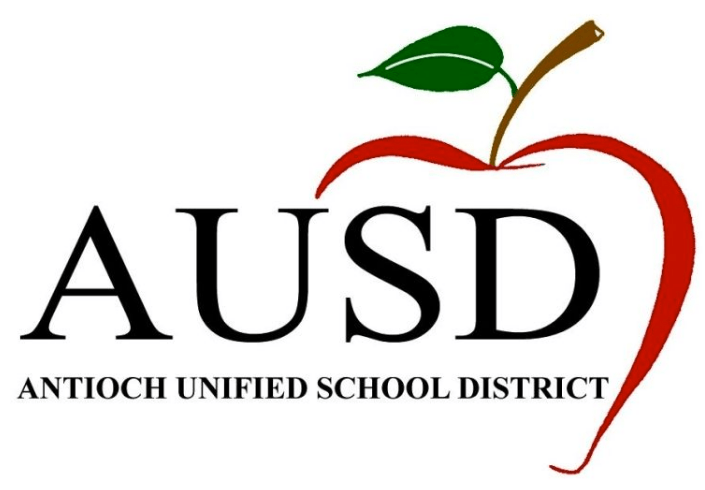 According to the proposal, Burkholder would create a district website – using the EastCountytoday.net model – that would become ‘the single source for AUSD news and information.’ He would also work with the superintendent to identify positive stories or information that could be shared with the community, pitched to local media and shared on the district’s website and blog. Burkholder said that undertaking such work wouldn’t be a conflict of interest. Board member Diane Gibson-Gray, who believes the measure would have been approved if it had come from a different vendor or media outlet, said the district could benefit from increasing its online presence. The same apathy towards reporting accurate poll numbers was seen in the way CNN released inaccurate poll numbers about Supreme Court Justice Sotomayor. In the secretly recorded tapes, CNN’s liberal, anti-Republican, and anti-Fox News bias is clear. “Fox News, I think Fox News is unbearable. It’s horrible,” said Nicky Robertson, who was at that time the CNN Assignment Desk Editor. Joe Sterling, who was then the News desk editor for CNN’s online venue ‘The Wire’ was also recorded speaking profound liberal bias. Even though most Americans view California as a lost cause—the “land of fruits and nuts”—and now, the epicenter of resistance to President-Elect Trump, it would be a mistake to ignore it. The whiny, crybaby brigade of Democrats in leadership, who wield unchecked power over the most populous, and in many ways, the most significant state. California Democrats doubled down this week—hiring former US Attorney General Eric Holder to go on offense against the policies of the incoming White House. Ignoring California in hopes that it will go away would be a disastrous mistake. California is far too important to the national security of the United States to simply ignore it. In spite of the government-created water crisis that has devastated the world’s “food basket,” (the San Joaquin Valley), California still supplies a majority of US agricultural products for export. Grapes, citrus, almonds—yes, fruits and nuts–(no surprise here)—in addition to beef, poultry, dairy, tomatoes, all manner of vegetables, alfalfa, wine, cotton…to name a few. Water wars between federal and state regulators, environmentalists, the Democrat governor, the Democrat-controlled state legislature, and farmers have gone on for decades with devastating results. Much of the world’s most fertile farmland lies fallow, as groundwater, its lifeblood, is slowly siphoned off to keep farmers alive. President-Elect Trump has already wisely tapped a few leaders from the crucial Central Valley region, which is not only known for its agriculture but is also home to vast quantities of domestic oil sitting atop the massive Monterey Shale. Both food and energy security are critical to the security of a nation. So far the new president’s appointment to EPA, Scott Pruitt, bodes well for California. A “climate-change skeptic,” Pruitt will loathe to ruining the economy in the name of “fake science,” and could be the best friend California farmers have had in decades. Any relief from California’s crushing “climate change” regulations— affecting everything from regulating dust kicked up by tractors, to requiring dairy farmers to capture cow flatulence—could be a windfall for this persecuted industry. And if the EPA took a balanced approach to the Endangered Species Act, weighing food production against the life of one tiny, insignificant, bait fish—the Delta Smelt—which has become the proxy for the environmentalist activists who populate the bureaucracies at both the federal and state level, water would once again flow to the San Joaquin Valley. An old saying—“Whiskey’s for drinking, water’s for fighting.”—has been true for far too long. But water’s not the only thing hanging in the balance. Land use is a massive issue all over the West. The Federal Government claims ownership of almost 50% of California’s land—a source of constant harassment for ranchers, loggers and anyone trying to operate a business in or around the land controlled by BLM, US Forest Services, and other federal agencies. Picking a Representative from a western state like Ryan Zinke of Montana, as the nominee for Secretary of the Interior was another brilliant move. But the biggest issue that Mr. Trump raised in his campaign by far—and the one that is front and center in the showdown with the California Democrat monopoly—is immigration. What a President Trump does on immigration affects California’s 38 million people more than any other state. California officials have declared California to be a “sanctuary” from any enforcement of federal immigration laws, and are defying the new president by refusing to cooperate with immigration officials in any way—preferring to dump criminal aliens on the streets so they can terrorize citizens rather than hand them over for deportation. Since immigration is one of the specifically enumerated duties of the Federal Government, this is the fight you need to pick, Mr. President. Cut off all Federal funding to defiant sanctuary cities, counties, and the state at large—including California Care (California’s version of ObamaCare) where California intermingles state and matching federal funds in order to make taxpayer-paid benefits available to illegal aliens. Stack the 9th Circuit Court of Appeals with Constitutionalists—and give the residents of this Marxist-Progressive occupied territory a chance to enjoy some of the basic freedoms and natural rights guaranteed by the Bill of Rights, starting with the restoration of the 2nd Amendment. Instruct TSA to refuse to accept AB60 Drivers licenses (issued only to illegal aliens in California) as identification for boarding airplanes. (Yes, currently TSA accepts these drivers licenses from illegal aliens to board planes). The future for millions of Californians is in your hands, Mr. President. Will you engage and fight this battle and win a victory for the American people or punt like every administration before you? Project construction manager Robert Mues inside adit 8/9 one of several access tunnels that lead to Mountain Tunnel (bulkhead at right) near Groveland, California, on Thurs. July 28, 2016. Mountain Tunnel, a key piece of the Hetch Hetchy water system is at risk of collapse, so this summer, the San Francisco Public Utilities Commission is preparing to repair the 19-mile-long tunnel just outside of Yosemite in a steep, hard-to-access wilderness area. In late December, the filtration tanks at a treatment plant in San Bruno were quietly filled with millions of gallons of raw water. At the same time, water was drained out of Mountain Tunnel, the century-old artery connecting the Bay Area to Hetch Hetchy Reservoir, 175 miles away in Tuolumne County. From Tuesday through March 5, crews will traverse the 19-mile conduit making repairs and performing a rigorous inspection. Officials have known for years that the tunnel is at risk of catastrophic collapse. The shutdown will help them decide whether the tunnel can be saved or will need to be entirely replaced. During those 60 days of inspections, San Francisco and other Bay Area cities will be cut off from their main water supply in the craggy heights in Yosemite National Park. Instead, water will come from four local water reservoirs and three treatment plants that will pump more than 150 million gallons a day to residents and businesses during the long closure. As water was filling the Harry Tracy Water Treatment Plant in San Bruno, plants in Half Moon Bay and Sunol Valley were also being prepared for heavy-duty work. The pipeline normally closes for maintenance for 30 days each year, but the last time it closed for double that time was in 1980, also for a thorough inspection. “It’s more challenging than what we have normally done,” said Steven Ritchie, assistant general manager of water enterprise at the San Francisco Public Utilities Commission. One week before commission officials closed the tunnel, more water volume than usual was allowed to rush down a series of pipes from the Crystal Springs Reservoir to the San Andreas Reservoir and then into the Harry Tracy plant. Globs of sediment and algae skimmed across the surface of the rust-colored water as it flowed through a series of channels. The water would later be filtered and sanitized at the plant. The 17 million-gallon water storage drum at Harry Tracy usually empties and fills two times a day at most. But as a full-time water supply source for San Francisco and the Peninsula after the tunnel shutdown, it will be replenished eight times daily — and that’s with the lower seasonal demand for water. Warning signs began showing 25 years ago, alerting officials that something was amiss in the tunnel built by miners nearly 100 years ago. Obstructions caused by the crumbling structure have decreased the volume of water pushing through Mountain Tunnel, data show, and concrete laid when the artery was built is disintegrating. A collapse in the system could take 270 days and cost more than $100 million to repair or $620 million to replace, according to the commission. Last fall, the agency spent $5 million to improve accessibility to the tunnel for workers, which is located at the bottom of a steep canyon in a remote stretch of Hetch Hetchy Valley. Crews increased the size of entry points and built wider gravel roads. This winter’s inspection will reveal whether the agency will need to repair the tunnel completely or build a new one. Renovating the conduit would mean shutting it down for two months every winter for up to 10 years. It’s the pricier but more reliable option, Ritchie said. During the tests, the taste and purity of San Francisco’s water won’t change, Ritchie said. The water stored in local reservoirs was funneled down from Hetch Hetchy. But because of fish and critters that live around the reservoirs, it needed extra filtering, he said. Nor will residents likely see any changes in service during the two months, said agency spokesman Charles Sheehan. At the Harry Tracy plant, machines churned and hummed. Dirty water rushed in, and clean water left in its place. It isn’t enough for Trump to quickly rescind Obama’s executive orders. Congress also needs to act. The worst legacy of the Obama administration may be disdain for the Constitution’s separation of powers. President Obama’s actions have created dangerous stress fractures in our constitutional architecture, making it imperative that the Trump administration and Republican Congress commence immediate repairs. The Obama administration has spurned this core constitutional principle, aggrandizing executive power at the expense of Congress and states. It has rewritten laws, disregarding its constitutional duty to faithfully execute them. ObamaCare’s implementation provides multiple examples: delaying statutory deadlines, extending tax credits to groups Congress never included, exempting unions from fees, expanding hardship waivers beyond recognition and granting “transition relief” for preferred employers. Mr. Obama even usurped Congress’s power of the purse, spending billions for “cost-sharing subsidies” that pay ObamaCare insurers for subsidizing deductibles and copays. Congress never appropriated money for these subsidies, so the administration shifted money appropriated for other purposes. The House sued to defend its constitutional prerogative, and in May a federal court ruled against the administration, which has appealed. Mr. Obama also exempted five million illegal immigrants from deportation, though Congress had unambiguously declared them deportable. He waived the mandatory work requirement of the 1996 welfare reform. He redefined sexual discrimination under Title IX, forcing schools to allow transgender students to use bathrooms of their non-biological gender, and threatening to withdraw funds if colleges refuse to reduce due process protections for individuals accused of sexual assault. The president has exhibited particular antipathy toward the Senate’s advice-and-consent duty. In Noel Canning v. NLRB (2014), the Supreme Court unanimously ruled that the administration violated separation of powers by making unilateral appointments to the National Labor Relations Board while the Senate was in session. And the president unilaterally committed the nation to an unpopular nuclear deal with Iran, bypassing the Senate’s treaty ratification power. Mr. Obama’s actions have also shattered federalism. The administration rewrote the 1970 Clean Air Act, commanding states to revamp their electricity generation and distribution infrastructure. It rewrote the 1972 Clean Water Act, claiming vast new power to regulate ditches and streams under the risible notion that they are “navigable waters.” It has refused to enforce existing federal drug laws, emboldening states to legalize marijuana. This principle disappeared during the past eight years. In his 2014 State of the Union address, the president vowed to implement his agenda “wherever and whenever I can” without congressional involvement—to thunderous applause by Democrats. In November 2014, Democratic Senators urged the president to vastly expand his unilateral amnesty for illegal immigrants. The Trump administration and GOP Congress should resist the temptation to follow this Constitution-be-damned playbook. The greatest gift Republicans could give Americans is a restored separation of powers. But this cannot be accomplished by merely rescinding the Obama administration’s unconstitutional executive orders. While this is a necessary step, Congress should enact additional reforms. First, Congress can amend the 1996 Congressional Review Act to require affirmative approval of major executive-branch regulations. The law now allows regulations to go into effect automatically if Congress does not disapprove them. The act has been used only once to overturn a regulation because it requires passage of a joint resolution of disapproval—which must be signed by the president. This requirement should be inverted: If Congress does not affirmatively approve a regulation, it never goes into effect. Second, Congress could prohibit “ Chevron deference,” in which federal courts defer to executive branch interpretations of ambiguous statutes. Chevron deference is a judge-made doctrine that has aggrandized executive power, ostensibly to implement Congress’s intent. If Congress denounces such deference, it can simultaneously reduce executive power and encourage itself to legislate with greater specificity. Third, Congress can augment its institutional authority by expanding its contempt power. The criminal contempt statute should require the U.S. attorney to convene a grand jury upon referral by the House or Senate without exercising prosecutorial discretion. Congress should also extend the civil contempt statute to the House, not merely the Senate, and enact a new law specifying a process for using Congress’s longstanding (but rarely invoked) inherent contempt authority. Fourth, Congress can require that all major international commitments be ratified by treaty. A statute defining the proper dividing line between treaties and executive agreements would reassert the Senate’s constitutional role, provide clarification to the judiciary, and encourage communication and negotiation between Congress and the president. Fifth, Congress can enact a law further restricting its ability to coerce states into adopting federal policies or commanding state officials to carry them out. While the courts have ultimate say on the contours of these federalism doctrines, a law could force greater consensus and debate, provide guidelines on Congress’s use of its powers, and signal to the judiciary a reinvigorated commitment to federalism. Restoring separation of powers is necessary and possible. It should be the highest priority of the Trump administration and Congress. Mr. Rivkin and Ms. Foley practice appellate and constitutional law in Washington, D.C. Ms. Foley is also a professor of constitutional law at Florida International University College of Law.